Synopsis: A dramatisation of the Battle of Isandlwana. 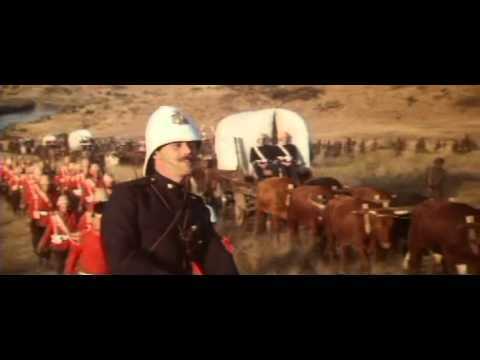 Douglas Hickox and Cy Endfield’s belated sequel – or prequel, chronologically speaking – to Endfield’s 1964 hit, Zulu, focuses on the arrogance and bloody-mindedness of British officers at Isandlwana which resulted in the necessity for the backs-to-the-wall bravery demonstrated by the lower ranks at the Rorke’s Drift outpost once Isandlwana had been overrun. In a complete contrast to the tone of the first picture, we Brits are portrayed as a rum lot here, breaking our word to the Zulus by entering land we had agreed to stay away from, and airily writing the Zulus off as a bunch of primitives. 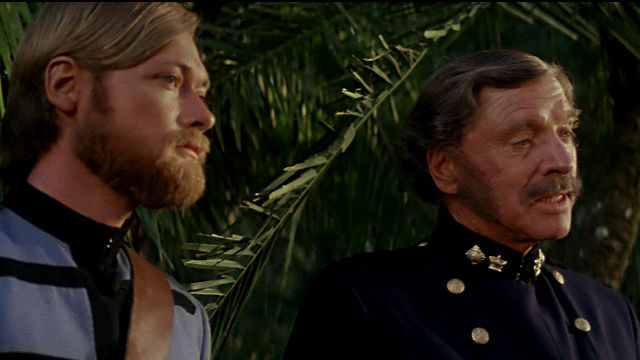 Peter O’Toole (Lawrence of Arabia, Great Catherine) does a pretty good job as the blindly arrogant upper-class officer who is so sure of his country’s inherent superiority that he wilfully ignores the advice of other officers as he blunders towards a monumental disaster that will cost hundreds of his men their lives. And, although the film doesn’t dwell on the aftermath of the encounters, you can’t help believing that his character will have learned little from the experience. The rest of the cast is fleshed out with characters that at least correspond more with those from the first film: a miscast Burt Lancaster (The Unforgiven, The Gypsy Moths) – clearly there to provide the movie with a hook for the US market – wrestles with a wonky accent (South African or Irish, it’s difficult to be sure). Simon Ward (Aces High) is a loyal Boer whose dedication to the British flag is proved when he somehow manages to shoot the staff from the hand of a Zulu racing away on a horse on a hillside on the other side of a river to send the Union flag fluttering symbolically into the water. Other names familiar to British audiences include Bob Hoskins (Royal Flash, Snow White and the Huntsman), Phil Daniels (Freebird), Freddie Jones (The Elephant Man) and that lad out of Kes. Zulu Dawn isn’t the rabble-rousing chest-beating event that its predecessor was – and lacks anything approaching the first film’s unforgettable score – but it’s still an absorbing and fascinating observation of a hubristic nation’s first steps toward the downfall of its empire.